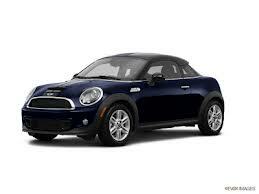 The MINI Cooper Countryman is the largest MINI available (with 5 doors!). Despite being a MINI, it has a surprisingly roomy interior and can fit four adults comfortably. As one of the most practical MINIs, the Countryman will be getting some updates. The modifications on the Countryman will roll out this month. The ALL4 all-wheel-drive option on Countryman should be appealing for those living in areas with rough winter weather, like here in Pittsburgh. The all-wheel drive is powered by a 181-horsepower turbocharged 4-cylinder. The Countryman still gets superb fuel economy with the base manual transmission getting 27 mpg city 35 mpg highway. The interior gets an update with new styling and colors by adding Carbon Black across the instrument panel and air vents. This will be standard on all trims. Additionally, with the Chrome Line Interior option, the Carbon Black can be highlighted with chrome. There are also newly designed door inserts making the Countryman even more comfortable and practical. 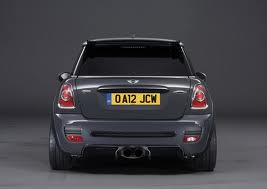 The Countryman will also come standard with a three-seat rear bench, for the first time. This can be swapped for two individual rear seats at no cost. Contact your local MINI dealer, MINI of Pittsburgh, to see when the updated Countryman will be in stock. Visit us online anytime at www.miniofpittsburgh.com.